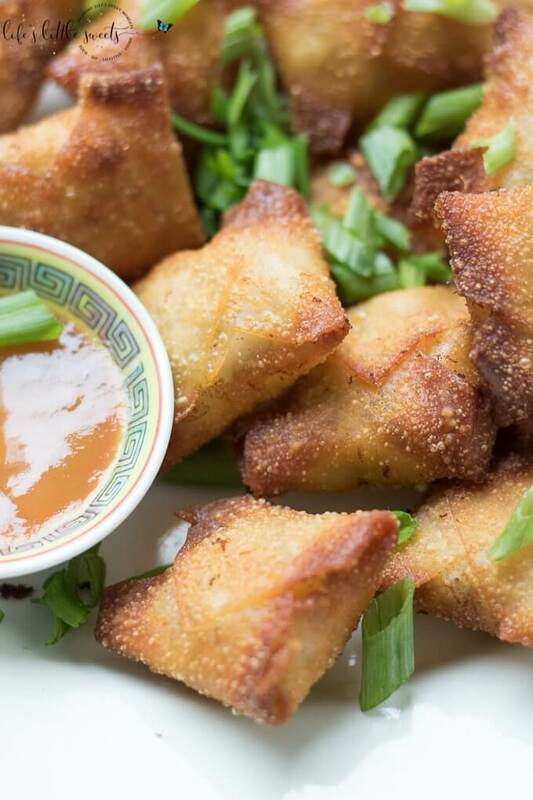 Hi Everyone, do you love Crab Rangoon when you order Chinese American takeout? Well, so do I! 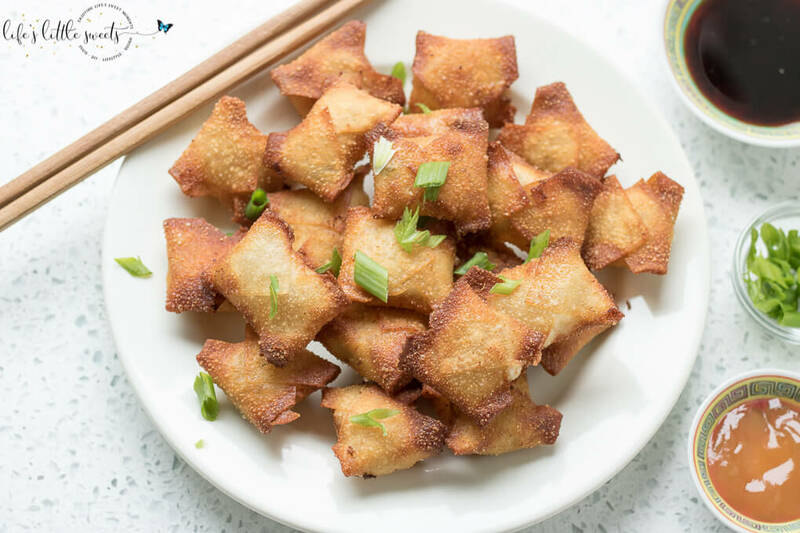 That is why I had to develop a Homemade Crab recipe to share with you for those time when you are craving this delicious appetizer. 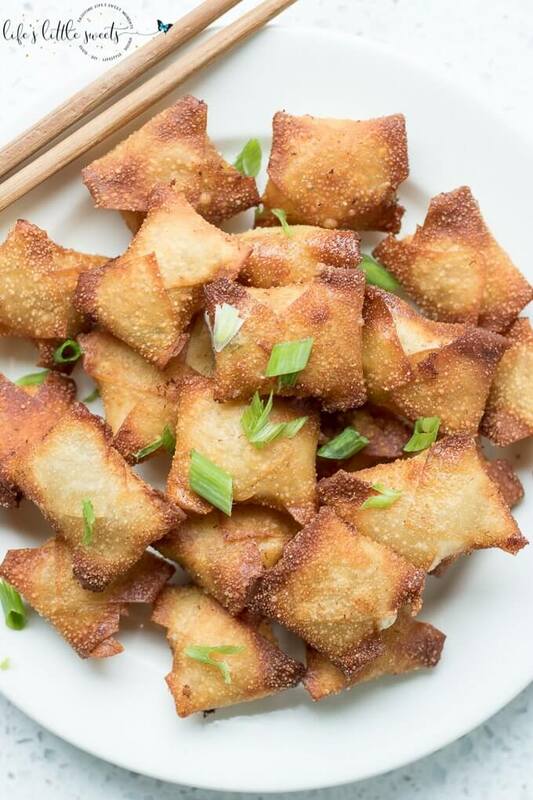 Crab Rangoon is basically, fried won tons filled with a crab and cream cheese mixture. 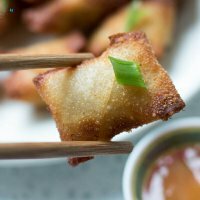 I love how crispy on the outside these parcels are with that soft, warm, crabby and cheesy center. 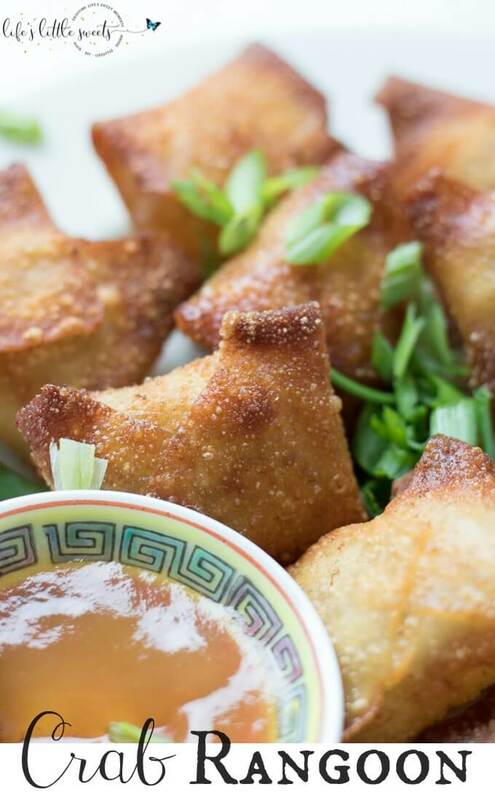 Crab Rangoon is a blend of savory and sweet – if you serve it with duck sauce. 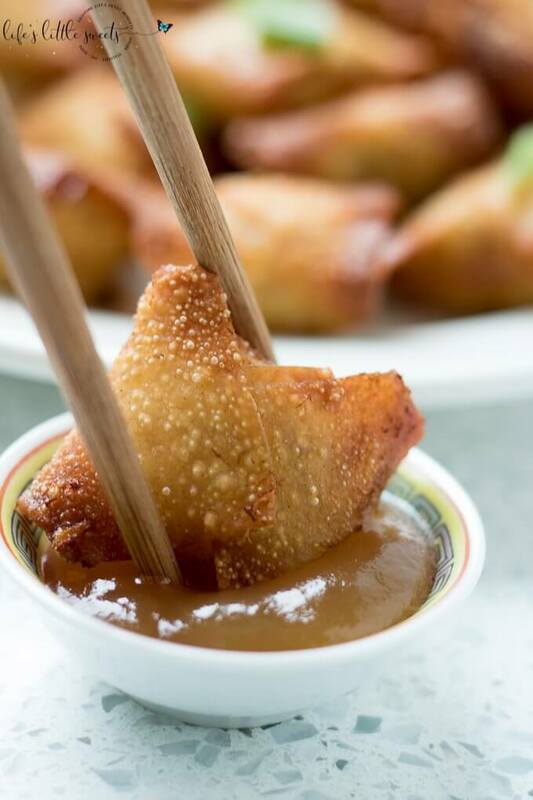 You can also serve it with some low sodium soy sauce. 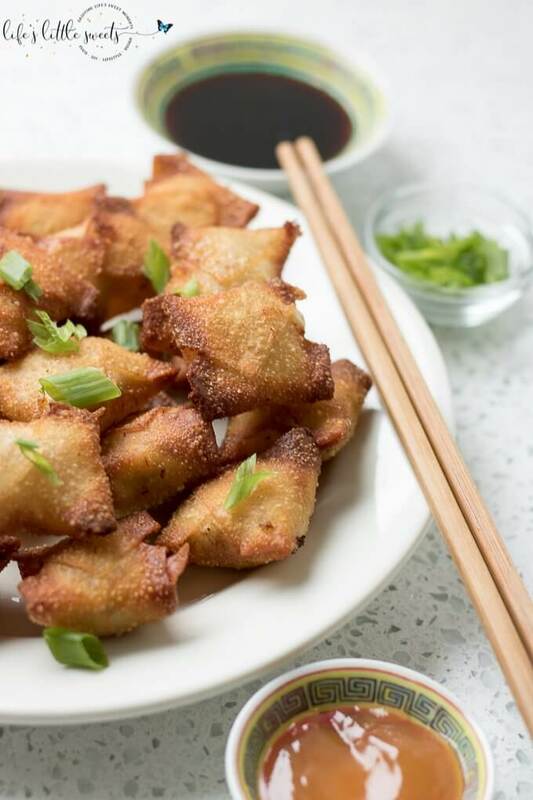 I like to garish it with more chopped green onion. 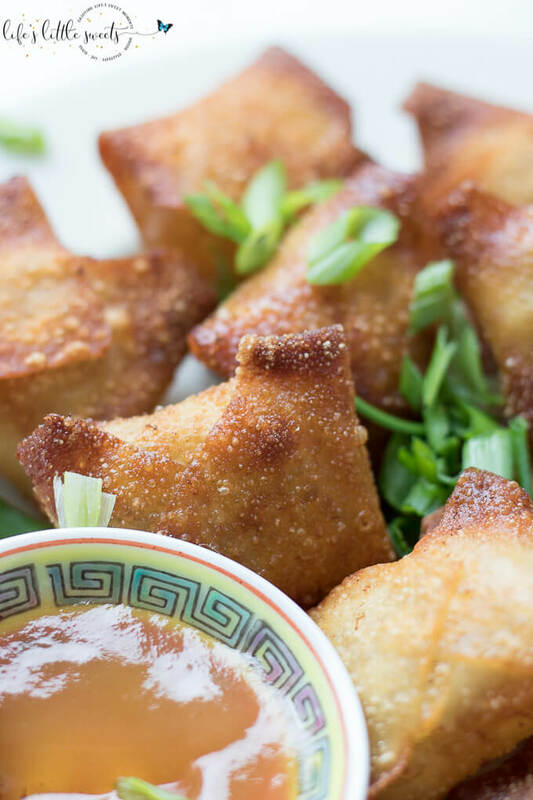 I know you will love this homemade Crab Rangoon appetizer recipe! 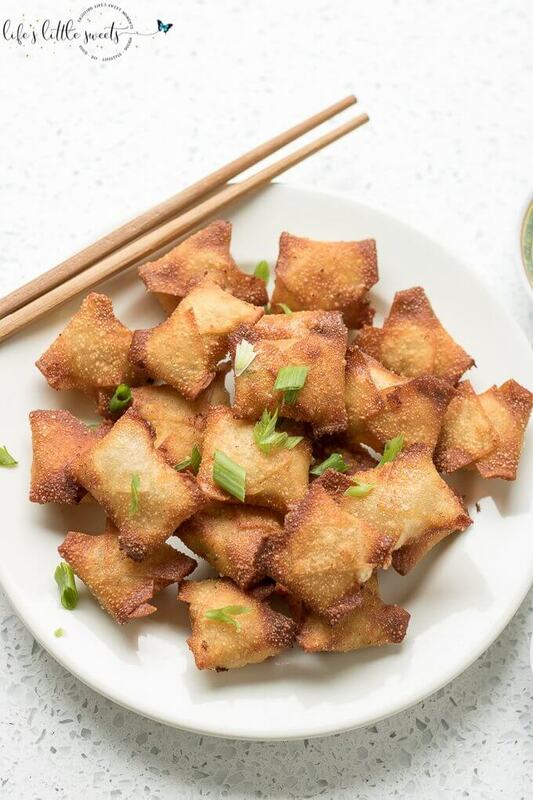 In a large mixing bowl, combine the crab meat, cream cheese, shredded Mozzerella cheese, chopped green onion, minced garlic, Worcestershire sauce, and soy sauce. 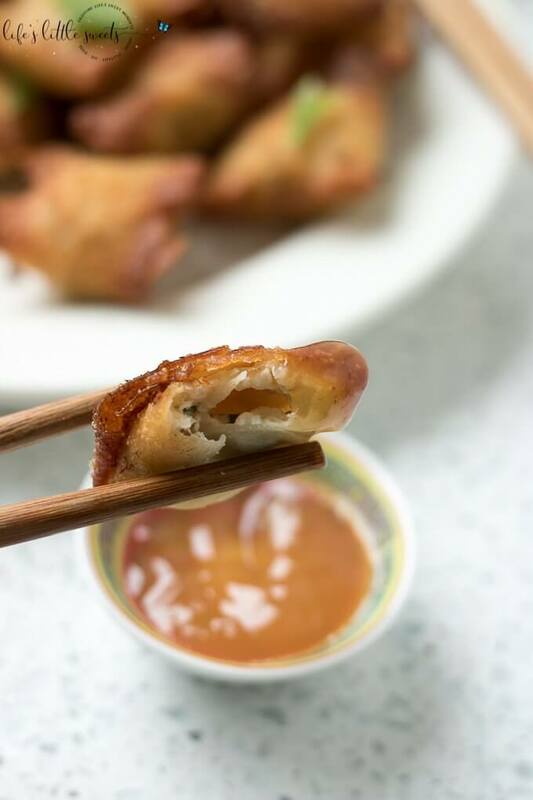 On a cutting board/clean surface, lay out the won ton wrappers, using a small spoon, equally spoon the crab meat mixture in the center of the wrappers. Fold the parcels, making sure that the wrappers are totally sealed and keeping air out of the parcels. Lay paper towels, lay paper towels, set aside. 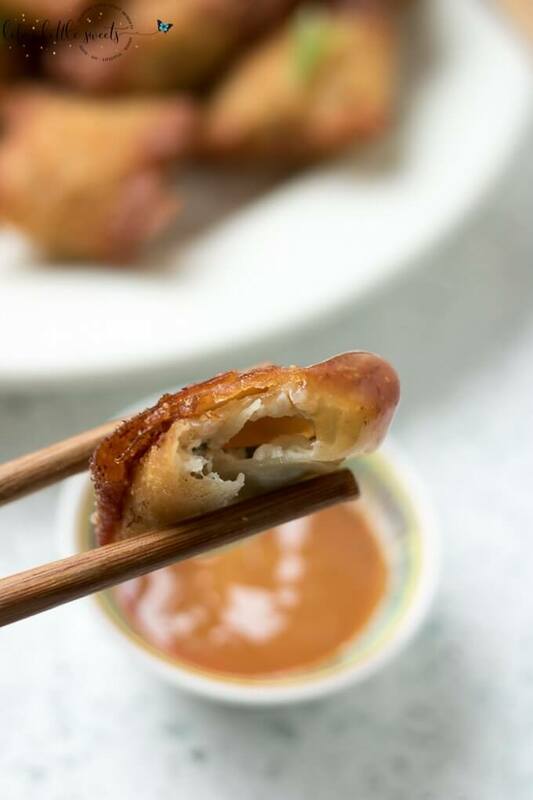 Preheat about 1 inch of oil in a frying pan on the stove top to 325 degrees (medium heat). 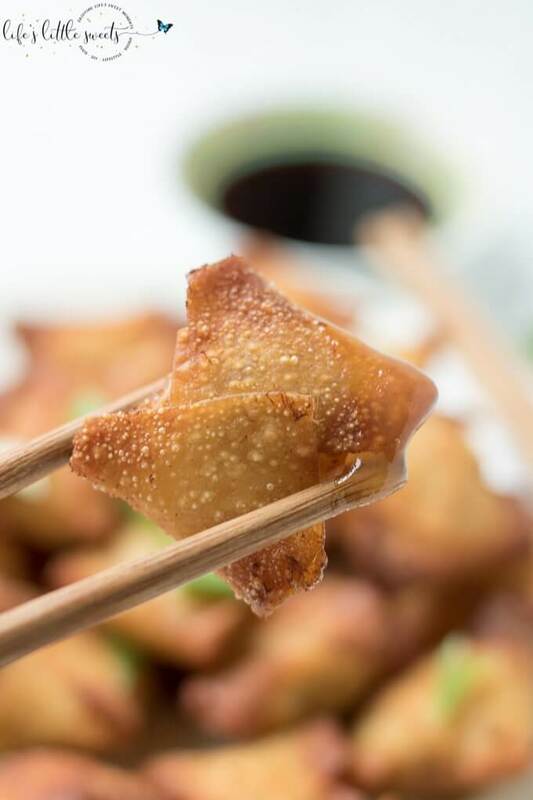 Using a slotted spoon or fry basket, drop the won tons into the oil, fry for 2-3 minutes or until golden. 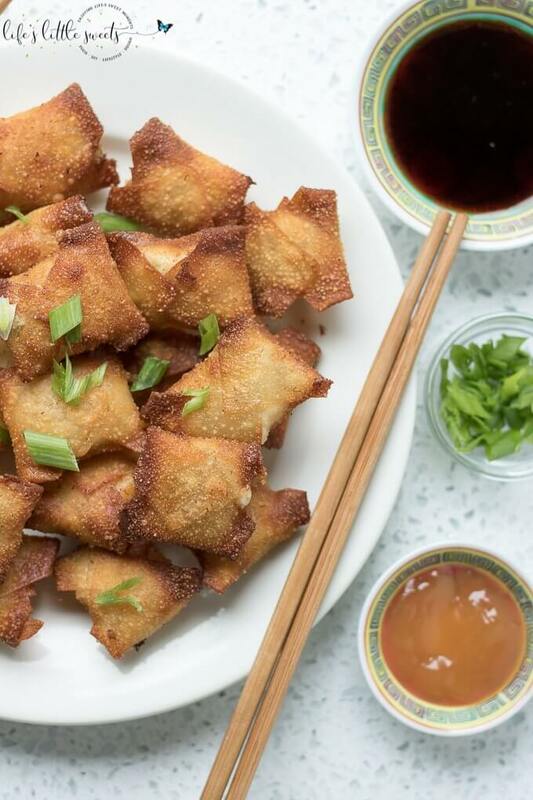 When they are done, lay the won tons on the paper towels to dry and cool. 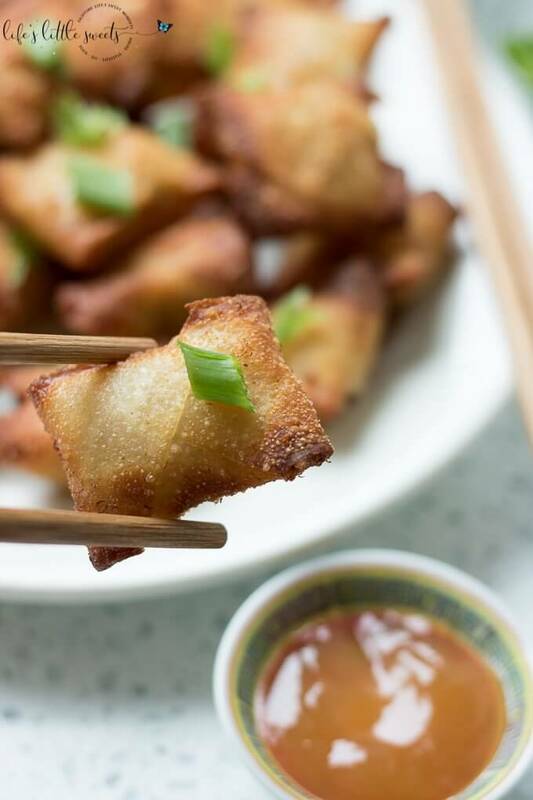 Serve with duck sauce and garnish with more scallions, if you wish! Enjoy!